Our experts are Certified Technicians with the Institute of Inspection, Cleaning and Restoration Certification (IICRC). You can rest assured we have the training to get the job done right. When you work with a family-operated company, you’re signing up for service from people who know how to treat you like their own family members. Baby Safe is no exception. Even the most thorough at-home cleaning is no match for a professional service! Learn more about how Baby Safe Carpet & Upholstery can introduce you to a new level of clean! Keeping your home sparklingly clean is of the utmost importance—especially if your home includes small children or babies. Brian is here to ensure that your carpet and upholstery are free of allergens and irritants, keeping your home clean and safe for everyone living there, including infants. Keeping your home sparklingly clean is of the utmost importance—especially if your home includes small children or babies. 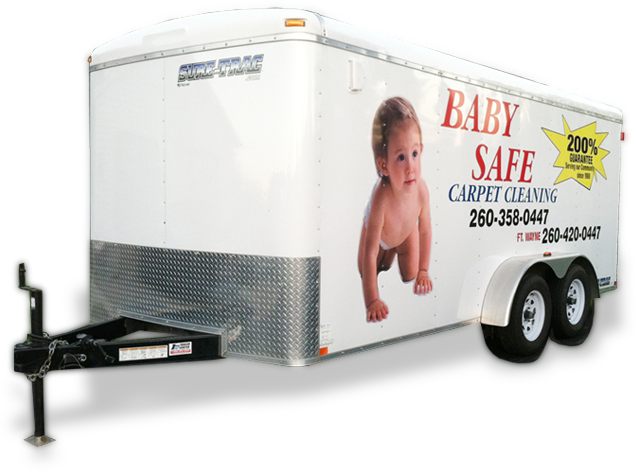 Brian from Baby Safe Carpet & Upholstery is here to ensure that your carpet and upholstery are free of allergens and irritants, keeping your home clean and safe for everyone living there, including infants. Working with a family-owned, family-operated business like Baby Safe is the way to go when you need scrupulous, efficient home cleaning services. Our IICRC Certified Technicians have been in the industry since 1988. When you call us, you’re signing up for service from experienced professionals who put customer service first. Call today! Great service. Responded quickly. Mike was very friendly and efficient. Programmed my fobs and didn’t accept payment until I was satisfied. Couldn’t ask for better service!! Phil was great. Did a terrific job. I would highly recommend. Total gentleman.